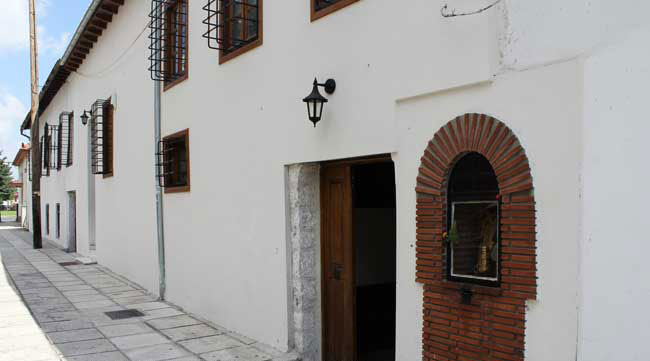 Agia Marina is located in one of the oldest districts of Ioannina, Kaloutsiani... 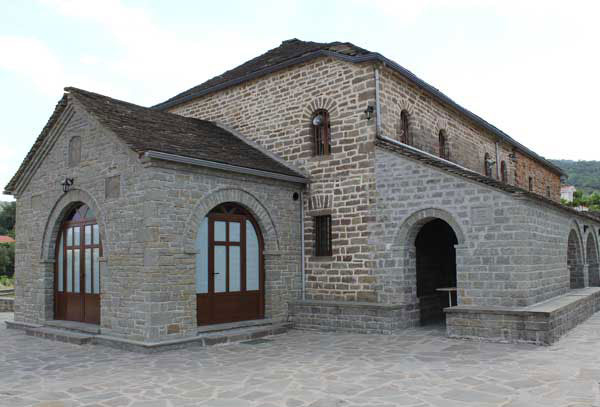 According to tradition, the church of Agia Marina was first built in 1791, and only in 1809 the first reconstruction of the G.Gorgoli and Stefano Bubi was made. 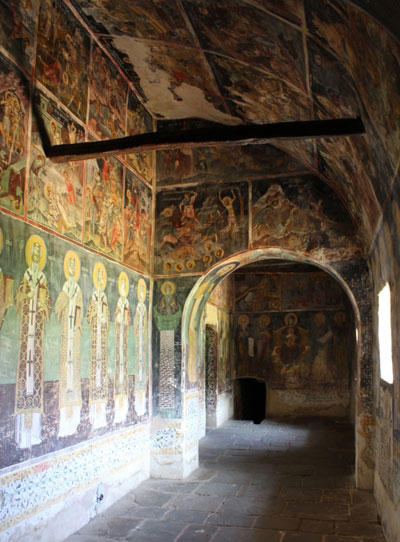 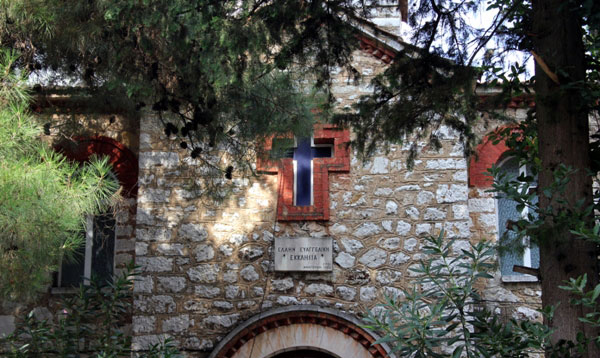 The English traveler Thomas Smart Hughes, who visited the city in 1813 in his travelogue characterises Agia Marina "as the most beautiful and brightest of Ioannina existing churches." 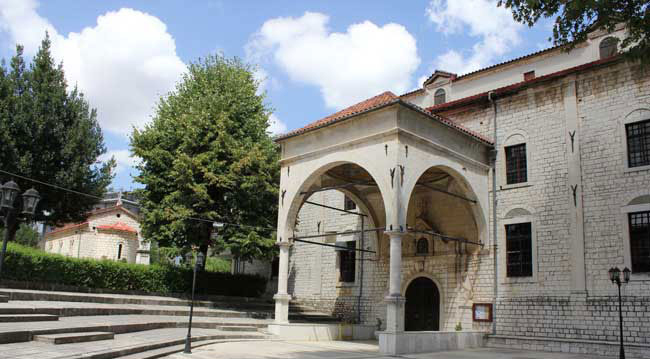 In 1820 the church was burnt down by the sultan's troops besieging the city of Ioannina and in 1829 it was burned again by Veli Bey. 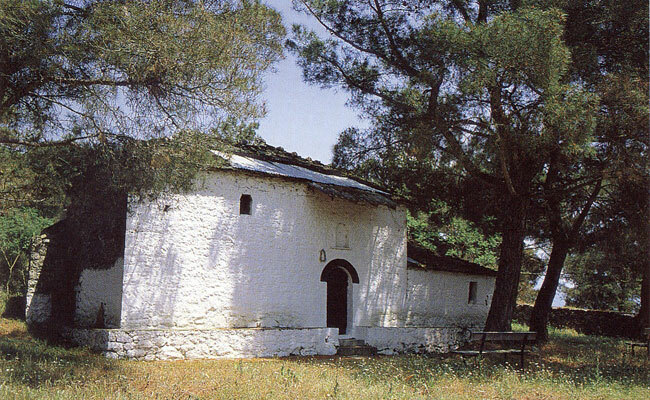 The church of Perivleptos, is dedicated to the Dormition of Mary and it is built on a low hill at the southern entrance of the city. 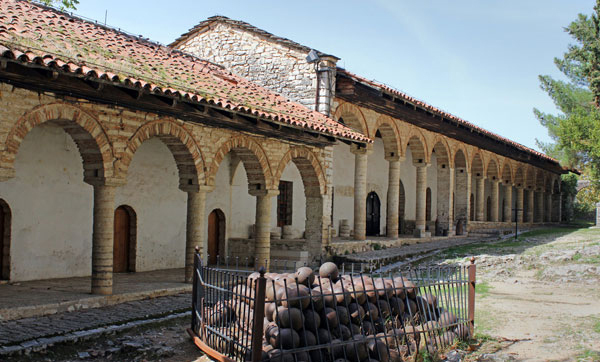 Initially there was a Catholic monastery founded by Abbot Epiphanius in 1647. 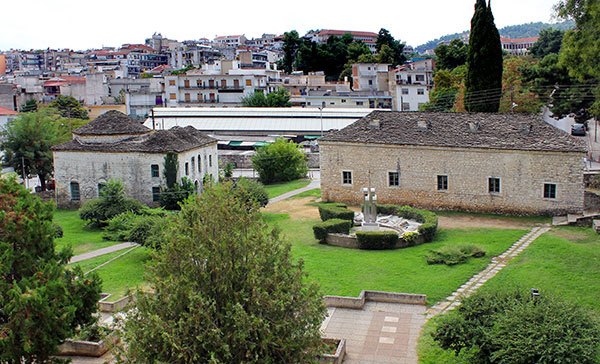 It is located in Square Parga Ioanninon. 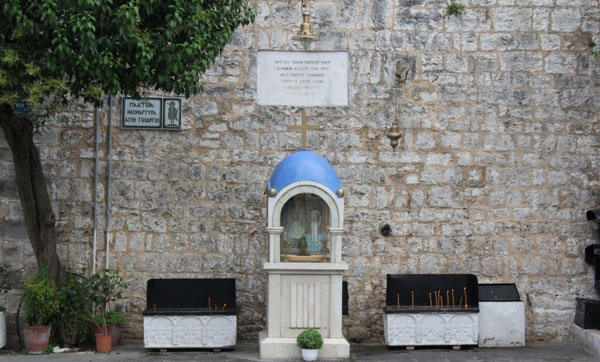 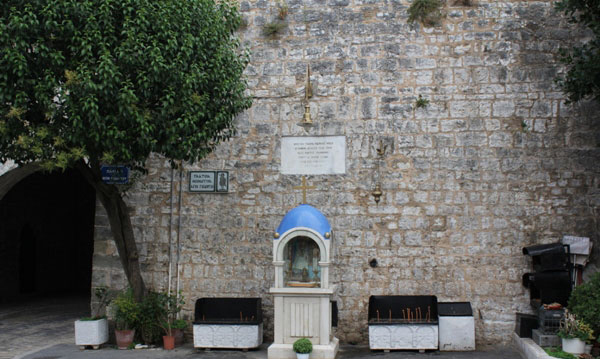 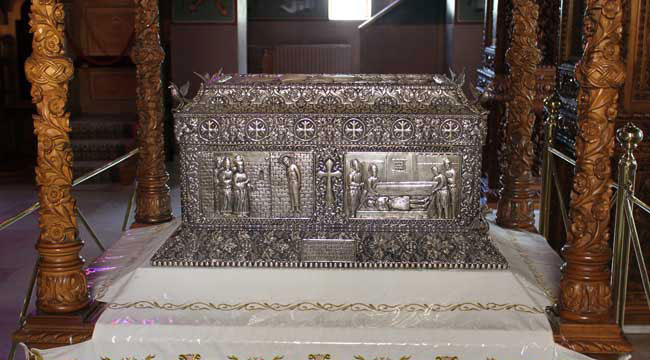 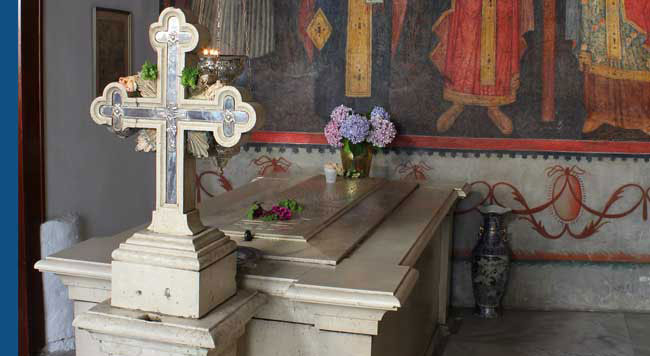 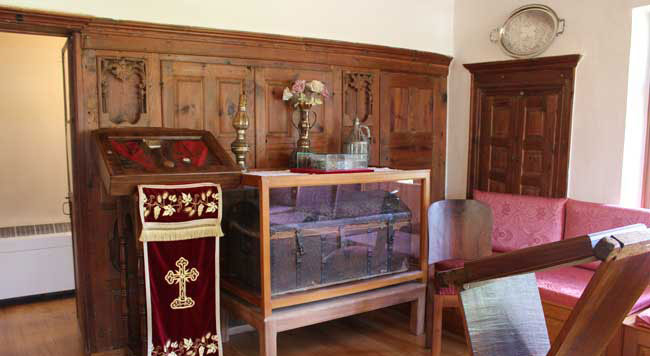 The relics of the Saint, who is patron of the city, are kept in the church. 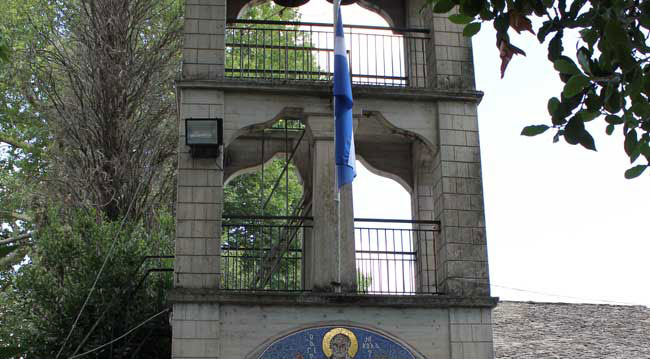 Saint George, was hanged by the Turks at age of 30, on January 17, 1838, from the plane tree that existed in the locality Kourmanio, near the gate of the city castle, when he refused to renounce Christianity. 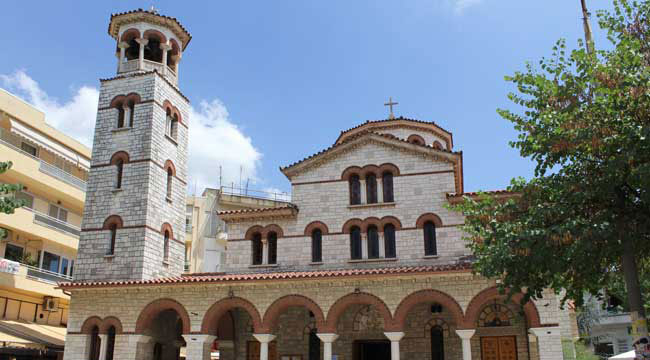 The church of St Nicholas of the Market, is located near today's Independence Street. 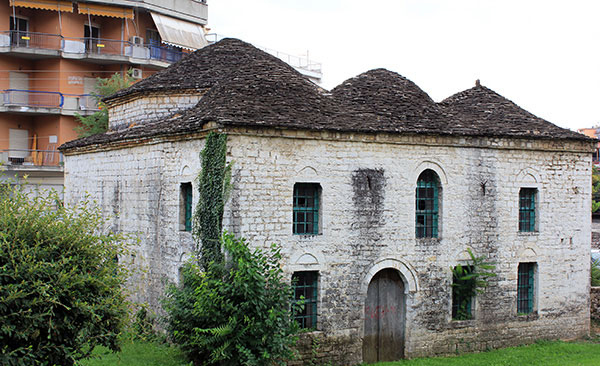 It shall also bear the name "Saint Nicholas of Bath", because the first Turkish bath built in the city was near. 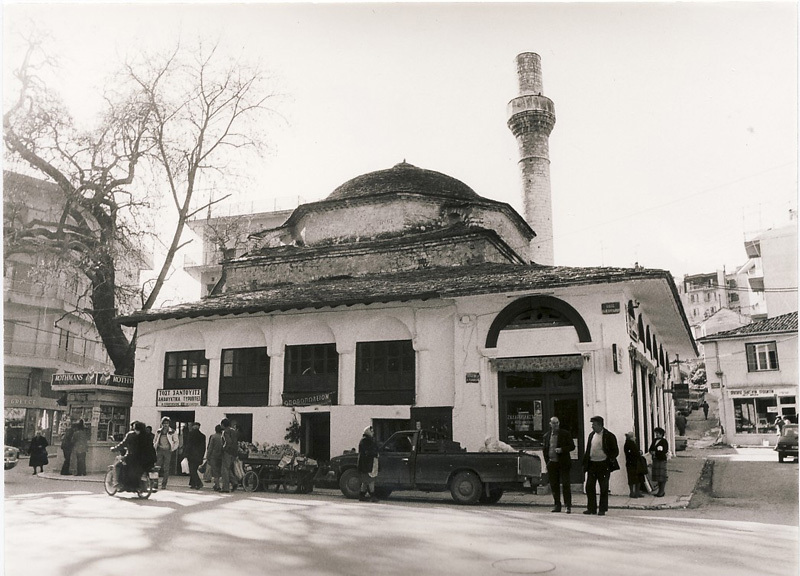 In this position it seems that there was a temple from the early 17th century, which as it is stated in 1630 was demolished by Recep Aga's son. 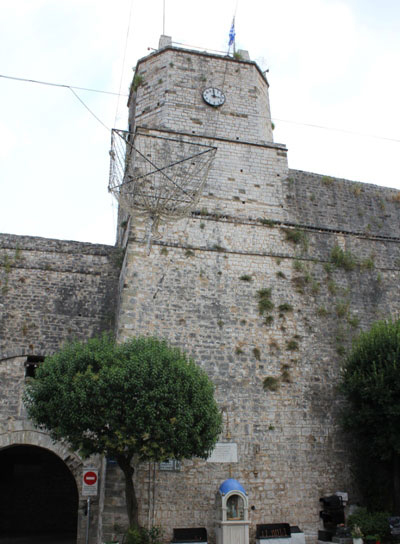 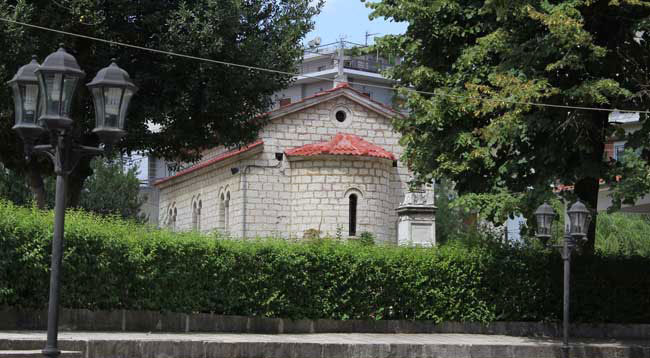 The church was rebuilt between 1647 and 1749, and again destroyed in 1820, during the events of Ali Pasha and the burning of the city by the sultan troops. 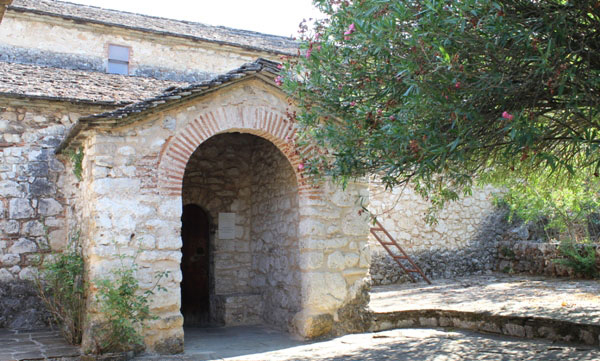 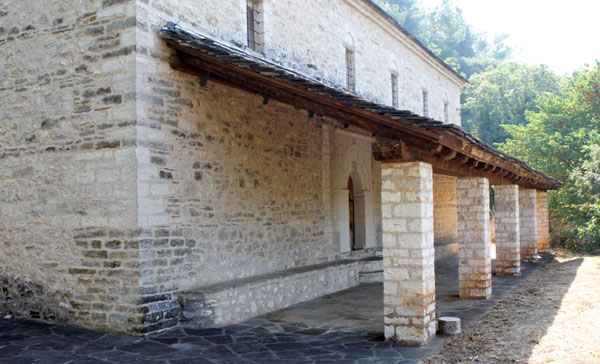 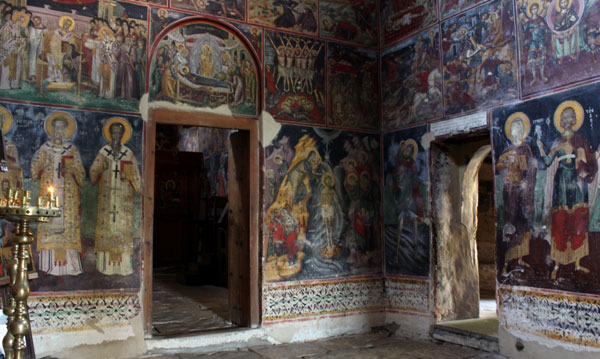 The church of St. Nicholas Kopanon, is located north of the city of Ioannina, near Limnopoula in the north exit of the town, on the way to Perama. 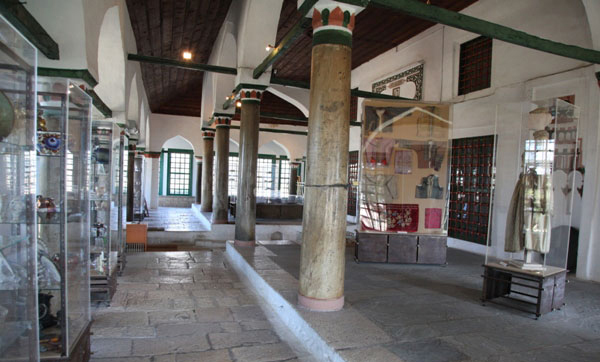 In this area women used to wash clothes and beat the rugs in the water. 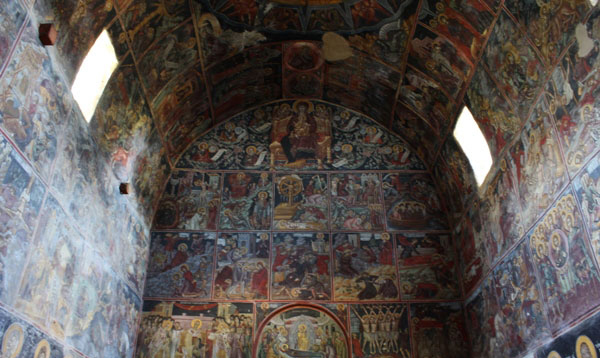 This is why the church got the name of Kopanon (beaten). 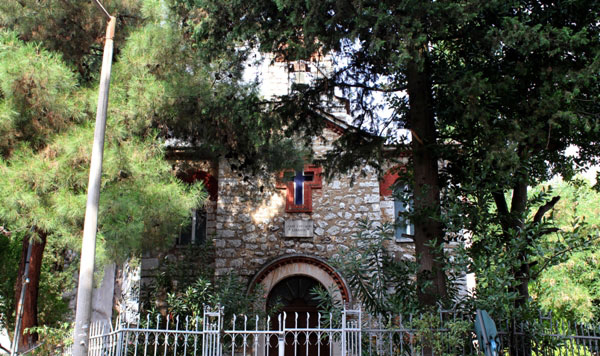 The building of the Evangelical Church, which was built in 1935, is located at Samuel street. 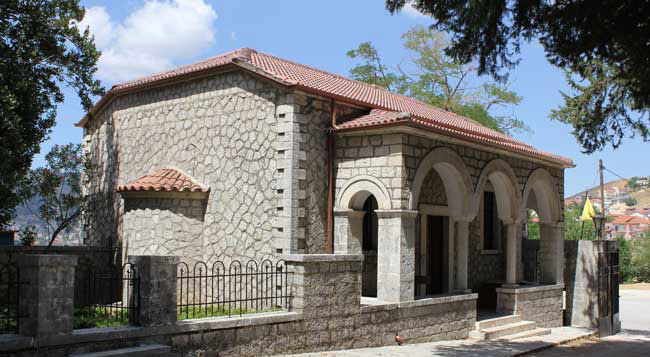 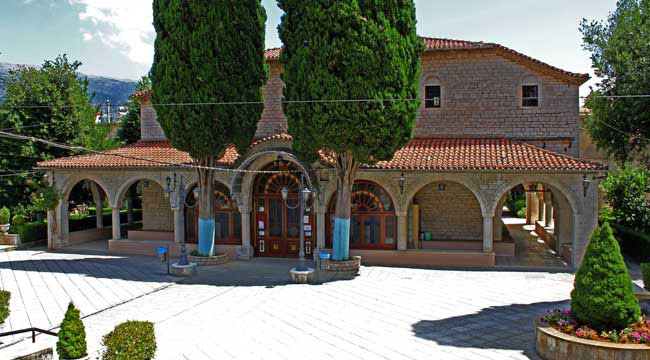 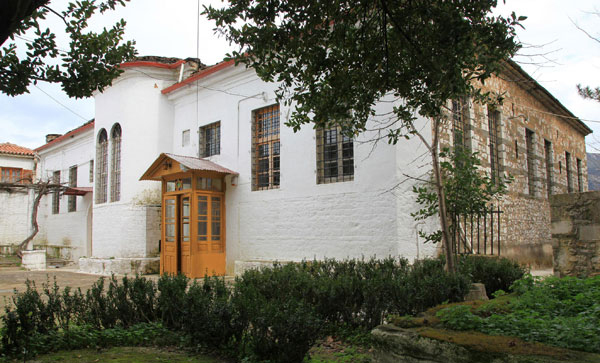 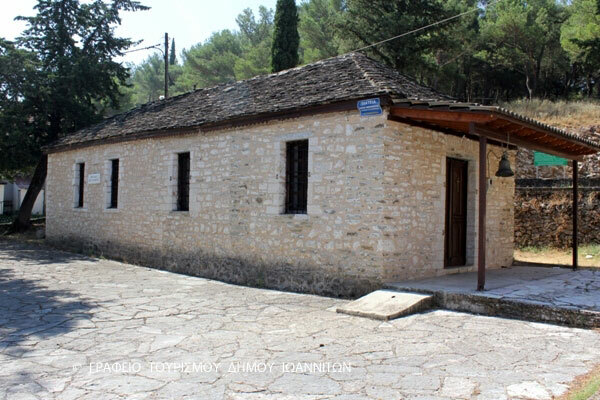 The Evangelical Community of Ioannina was officially founded in 1895, although there were Evangelists in Ioannina since at least 1879 when Stavros Michailidis established the first informal community. 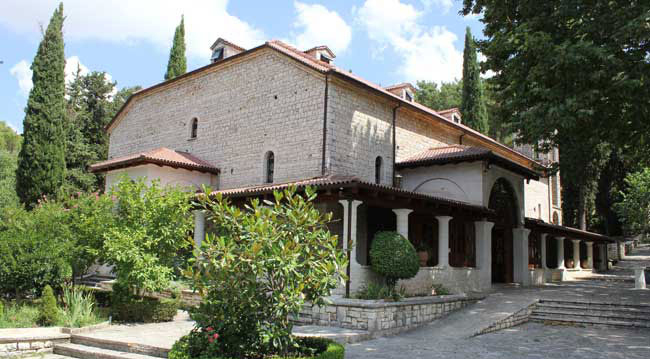 Today the faithful citizens of the Church in Ioannina amount to a few dozens and constitute a vibrant and amiable group of Ioannina's society. 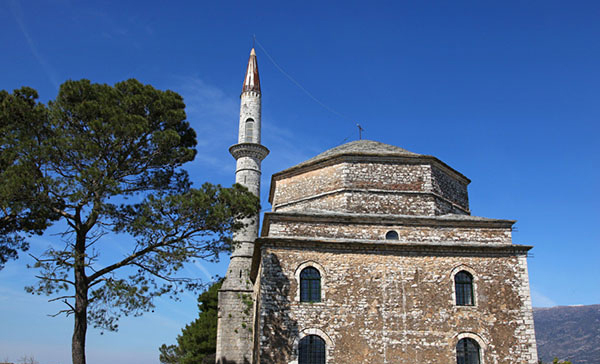 In the easternmost and highest point of the citadel Kale, dominates the Fethiye Mosque. 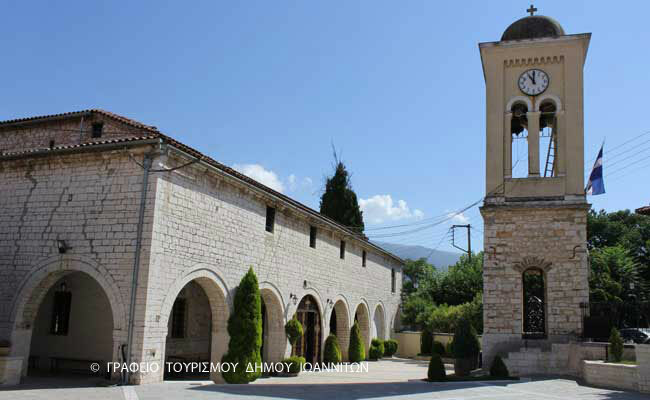 According to tradition, the mosque is built on the site of the earlier Byzantine church of the Archangels. 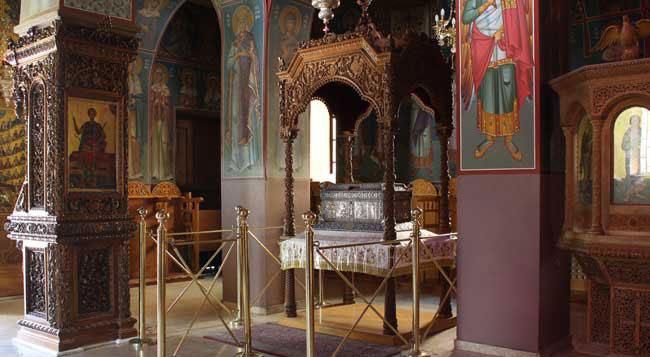 Unique relics of pre-existing Byzantine church are the two small pillars of marble iconostasis of the 13th century, which is built-in niche (mihrab). 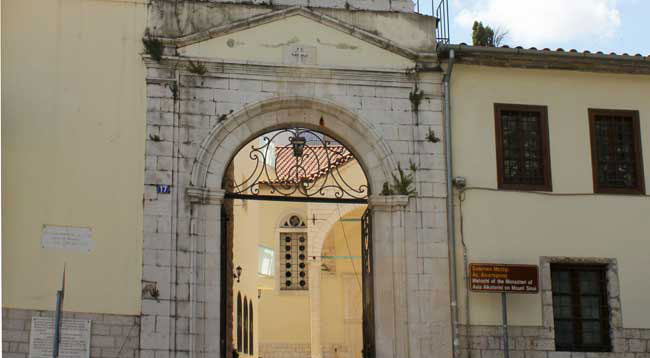 According to sources, in the 15th century, after the subjugation of the inhabitants of the city of Ioannina (1431) to the Ottomans, the first Muslim "metzit" (religious institution), named "Fethiye" was built on the spot. 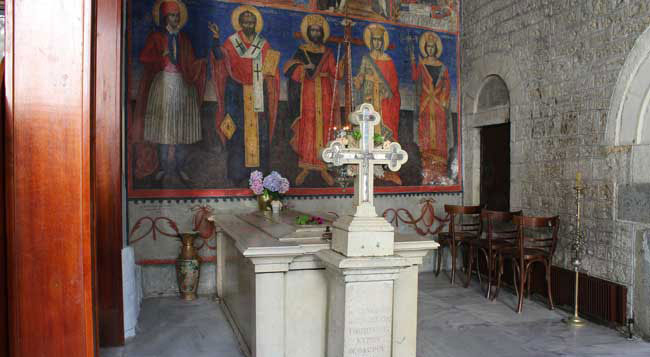 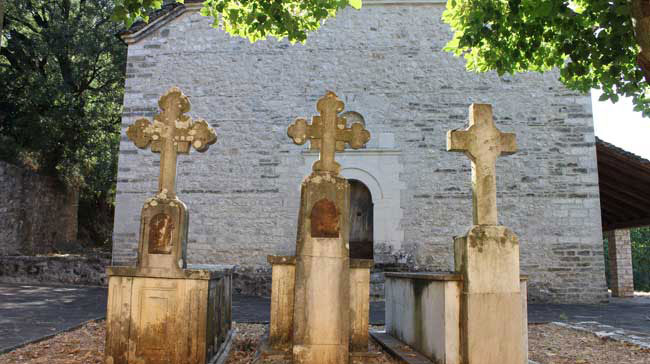 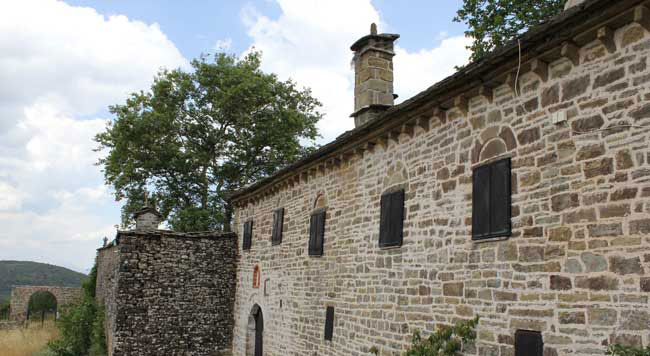 After the martyrdom of St. George on January 17, 1838, the faithful citizens made the site of the house a pilgrimage. 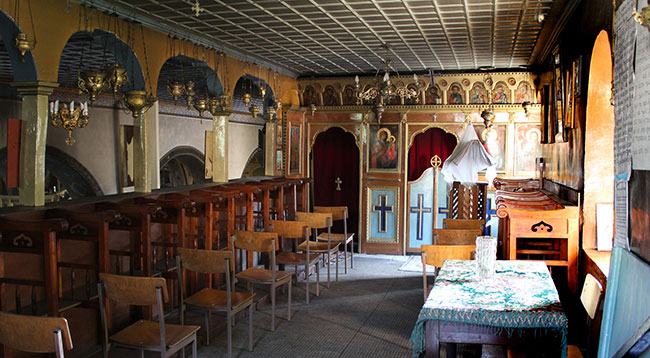 One of the rooms was converted into a chapel for the operational needs of the faithful. 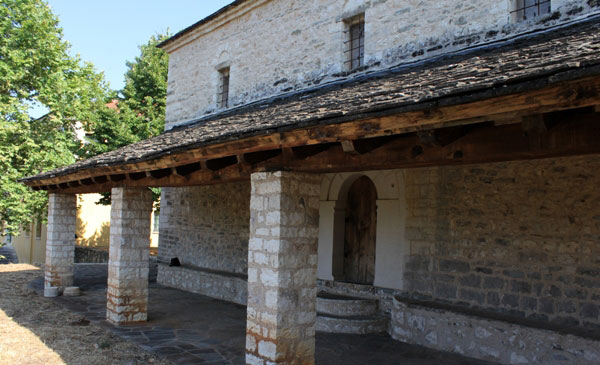 Located at Mavrogianni 84 ''. 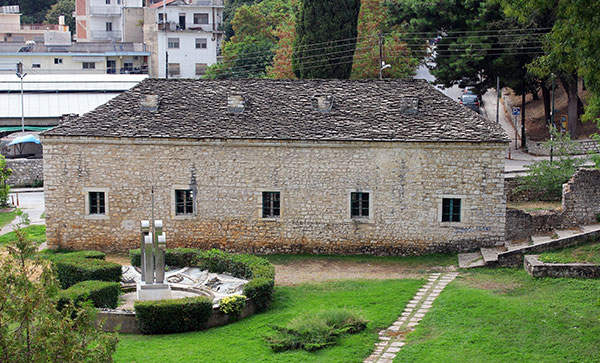 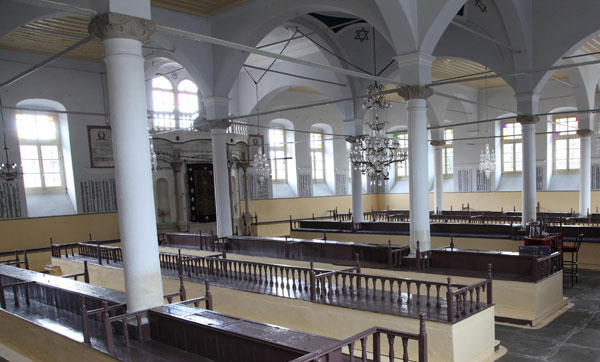 The "Ancient Sacred Synagogue of Ioannina" is one of the largest and oldest buildings, preserved in Greece (Corfu, Halkida, Rhodes). 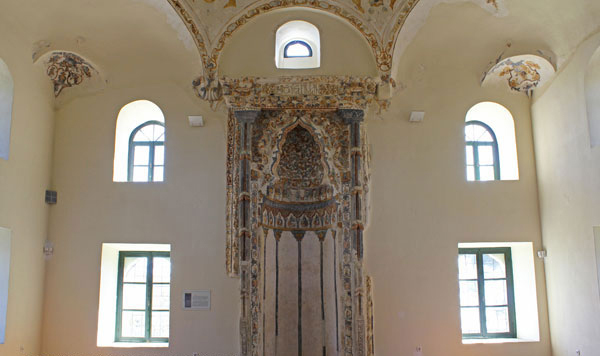 The monument consists of a rectangular vaulted pillared hall with many windows. 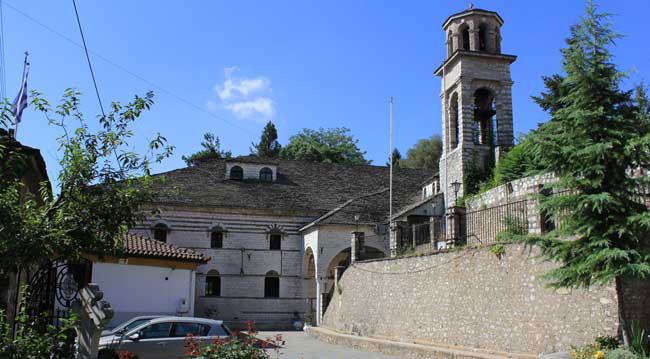 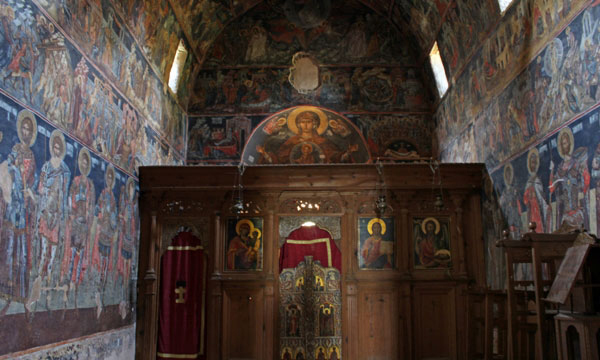 The church of Archimandreiou, dedicated to the Dormition of Mary was the church of the monastery Archimandrite or Archimandreiou or of the Lady Chimantriotissas. 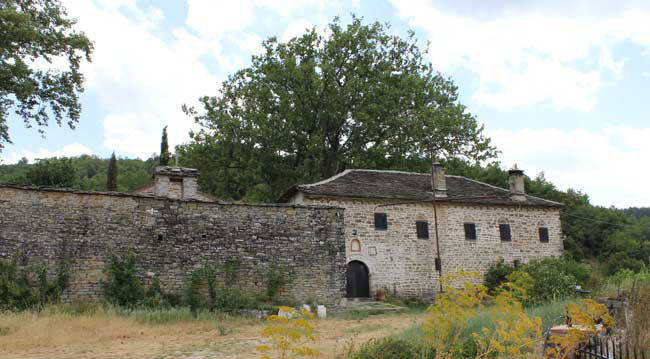 The name should probably be connected to the lead it had among other monasteries of Ioannina, as Archimandrite Abbot lived there. 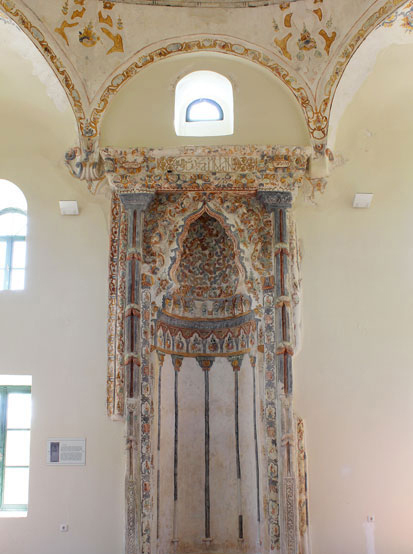 The mosque of Veli Pasha or Tsiekour-mosque is located on the south side of the hill of Litharitsia, in the middle of a large uncovered area formed by the southeastern outskirts of the hill and from the eastern slopes of the central plateau of the "upper city". 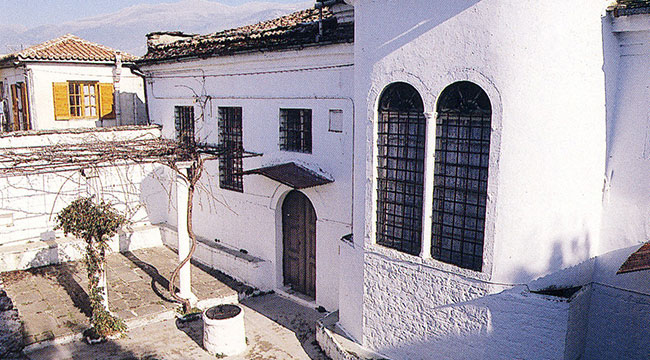 South and east of the area the Tsiekour districts and Plithokopio grew. 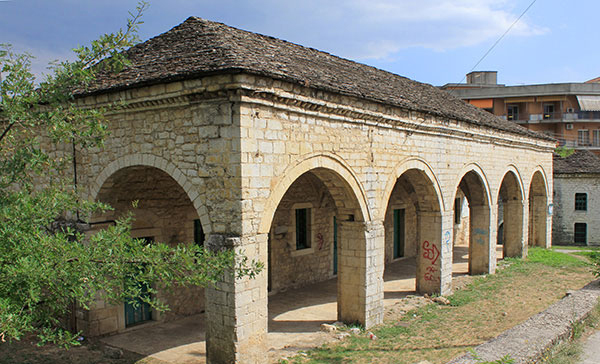 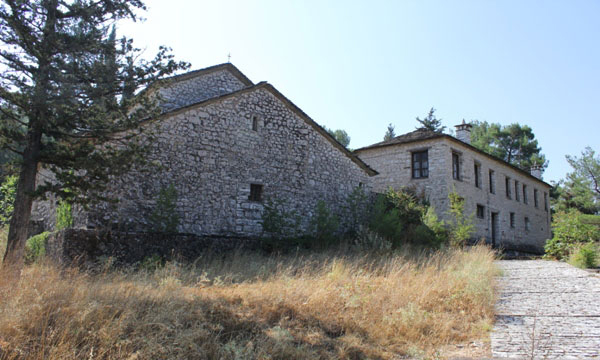 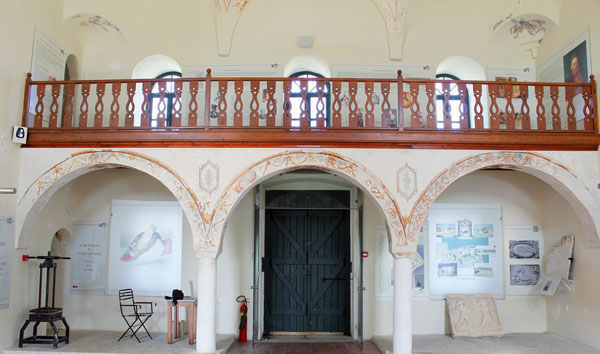 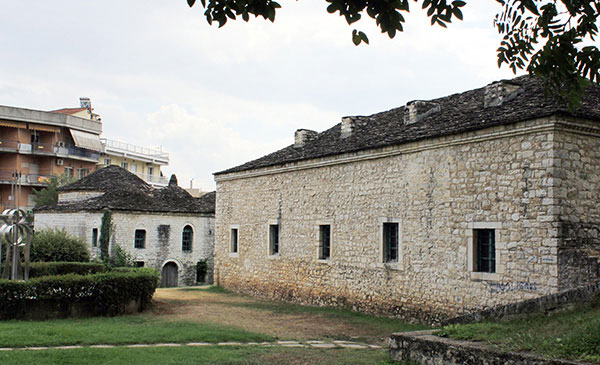 Together with Mendrese (seminary) that is built to the north of it, they were inseparable foundations of seraglios, which were built alongside by Ali Pasha for his son Veli. 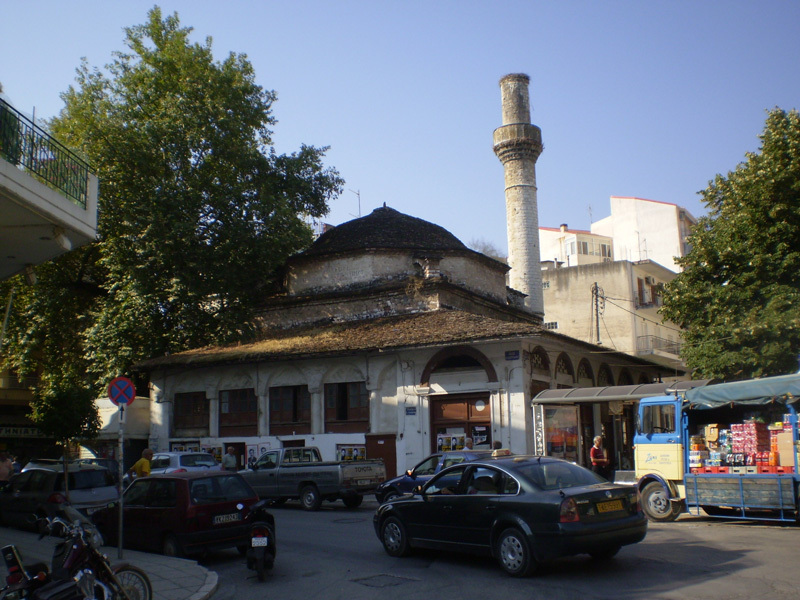 The Mosque of Kaloutsianis is located in the central square of the homonymous district of the city. 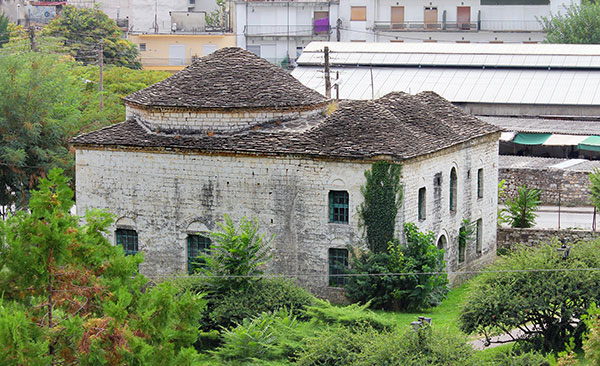 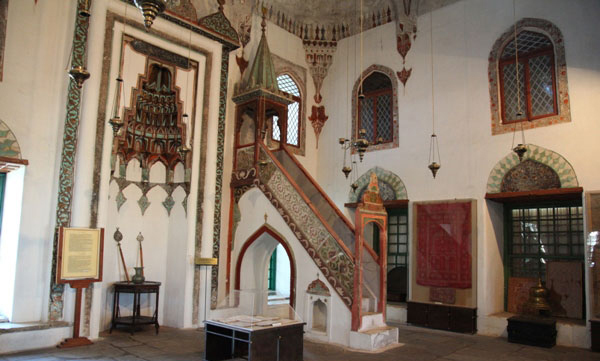 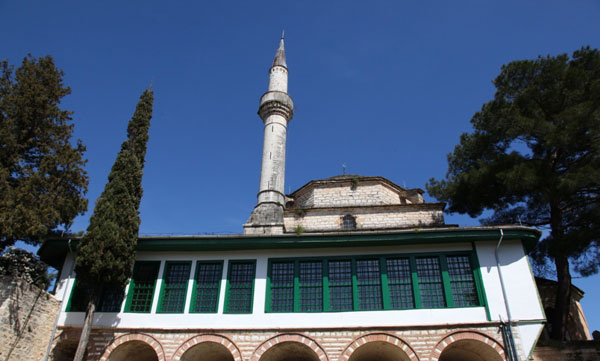 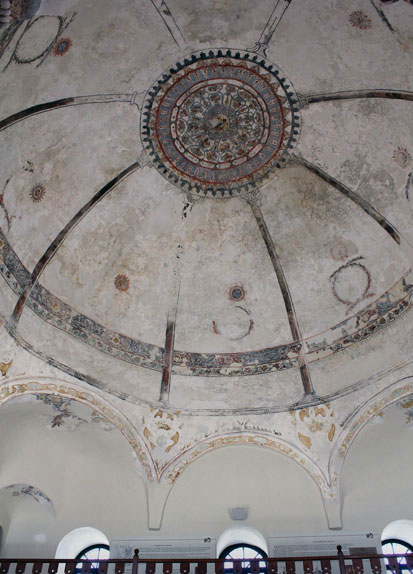 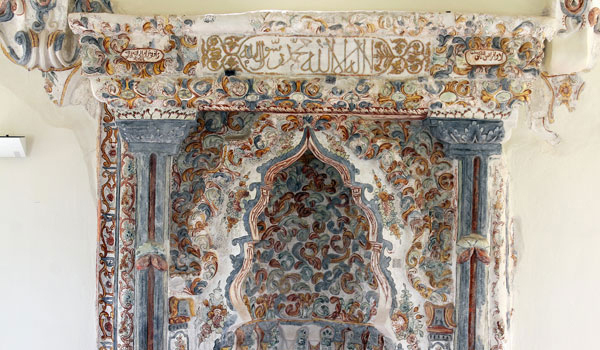 According to the wall inscription (unknown date) the Mosque was built in 1740 by Haci Mehmet Pasha, vali (governor) of Ioannina, in place of a metzit (Ottoman temple without a minaret). 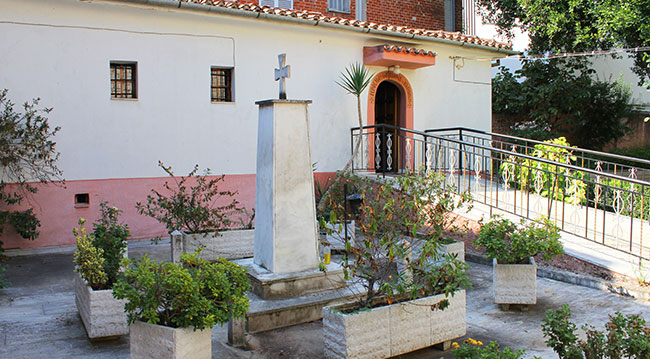 Located in front of the main gate of the castle. 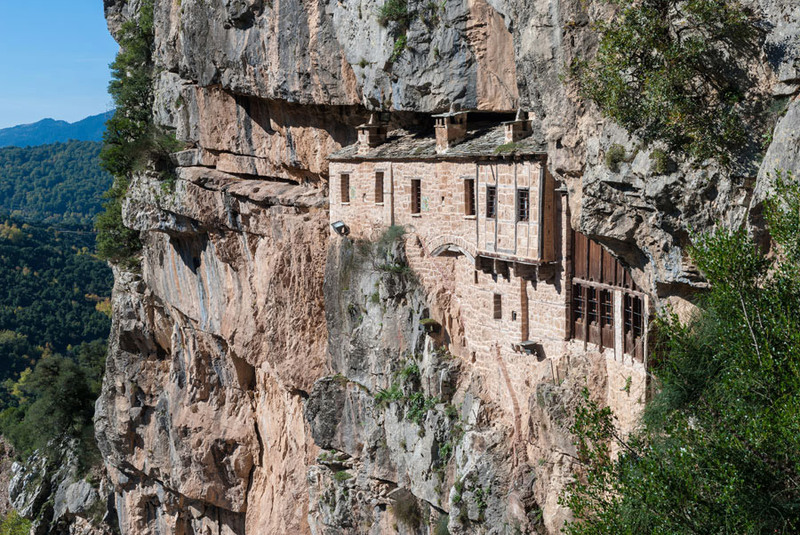 The only monastery which has no direct contact with the lake, is the monastery of Prophet Elias at the top of a low hill to the south of the settlement. 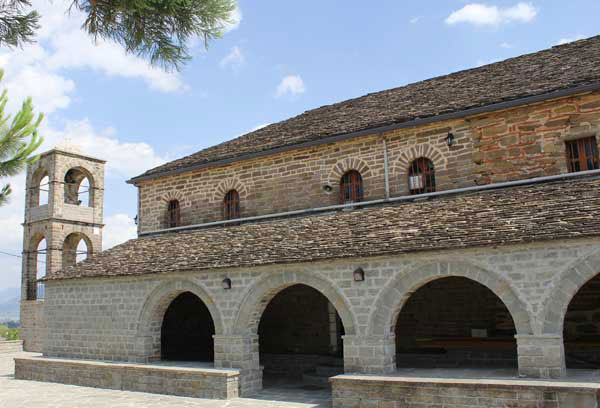 The historical data for the monastery are minimal. 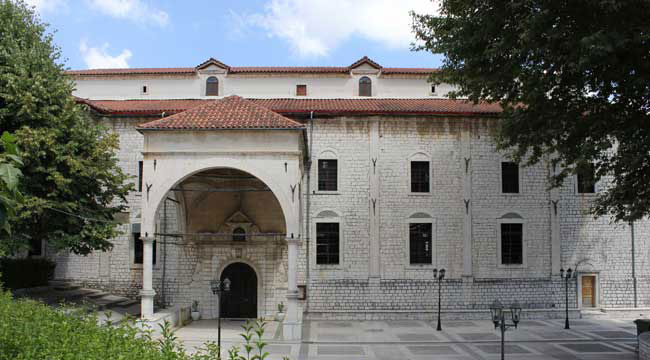 The original building of the church, which probably dated back even in the late Byzantine period, was destroyed by the sultan's troops, in 1821-22. 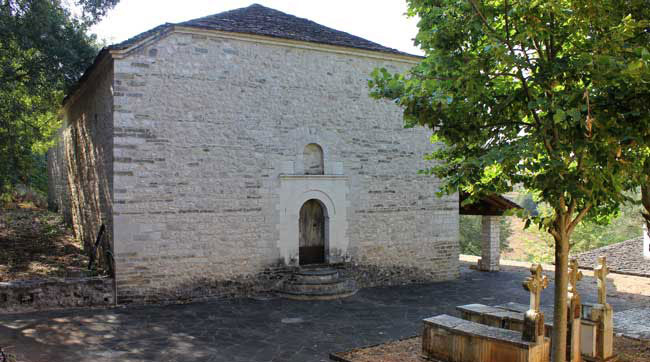 The church was rebuilt a few years later, probably with the contribution of the guild of furriers, who had custody of the monastery during the second half of the 19th century. 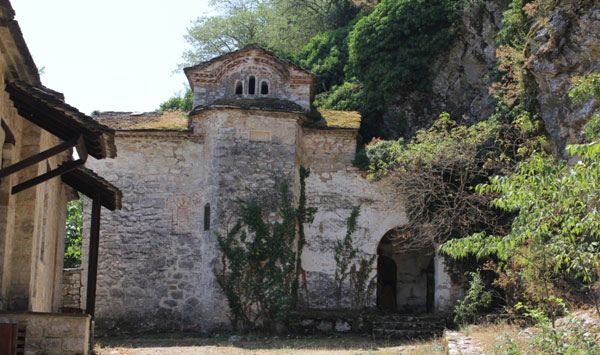 The Metropolitan temple of the city, dedicated to St. Athanasius, is located north of the hill Litharitsia near the lakeside district, known even today as Siarava. 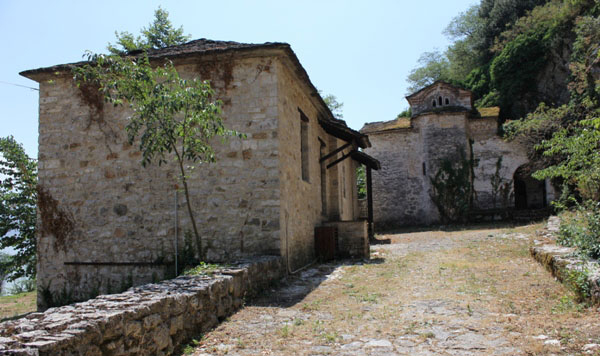 Although, according to tradition, in this place there was a temple since the Byzantine period, the first certain information on the existence of an older temple comes from the documents of 1619 and 1664, where it is reported as a Catholic monastery. 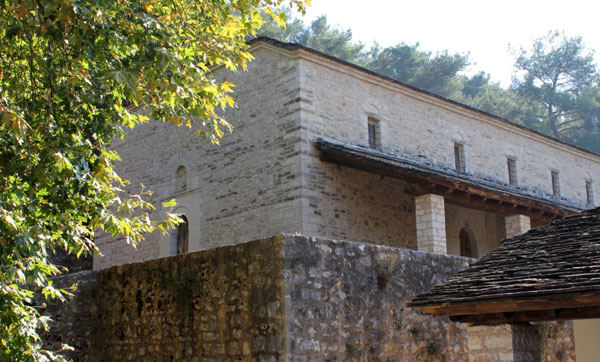 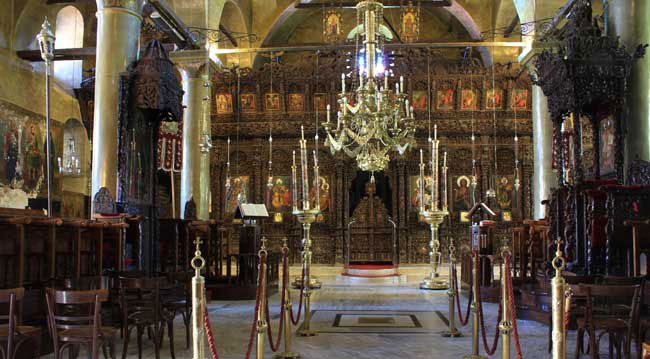 The Monastery of Saint Catherine is located in the old district of Karavatou, just east of the Archimandreio. 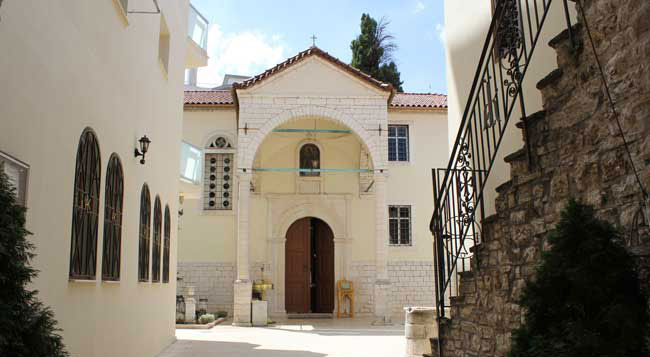 It is a monastery of St. Catherine of Sinai. 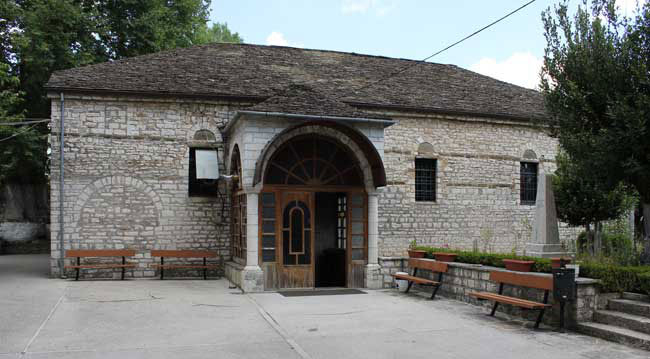 The original church was built in 1771 and renovated in 1801. 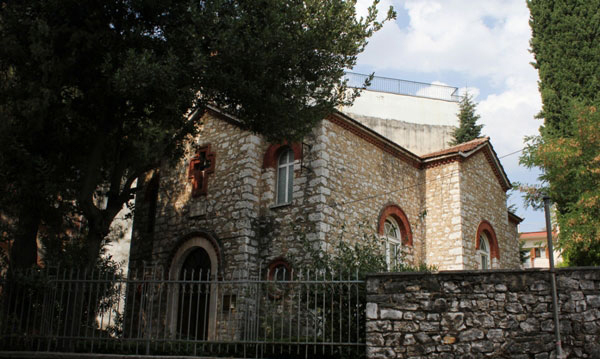 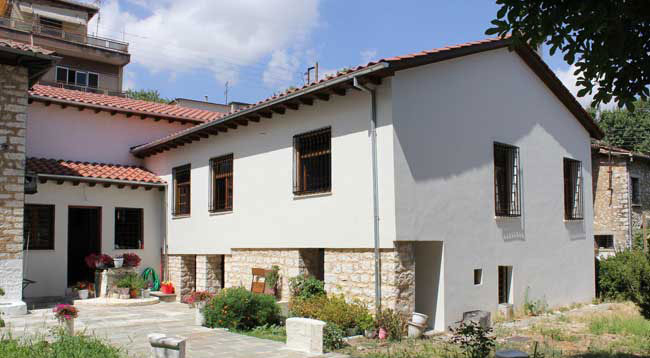 Between 1872 to 1875 major renovation followed, sponsored by the wealthy Ioannina residents Alexios and Angeliki Papazoglou. 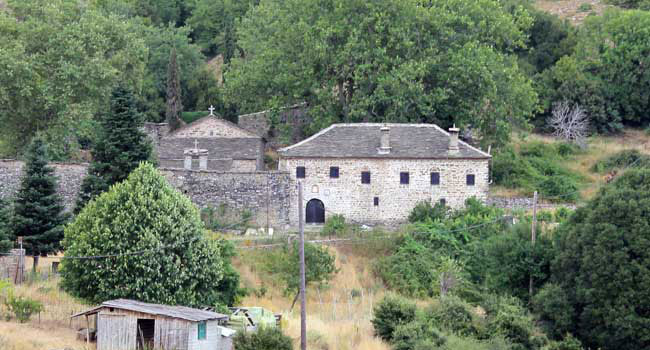 Angeliki Papazoglou came from Skamneli. 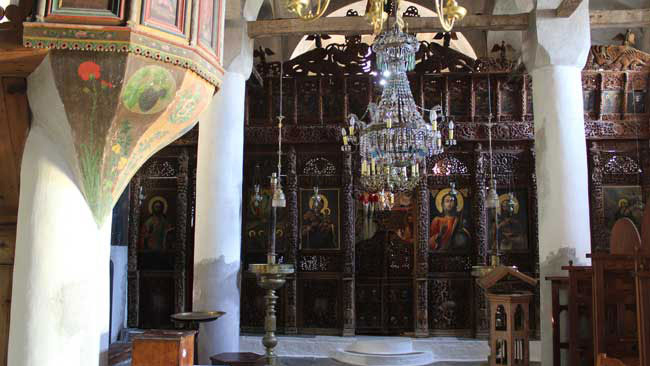 The temple is built in the type of three-aisled basilica with a raised loft on the west side. 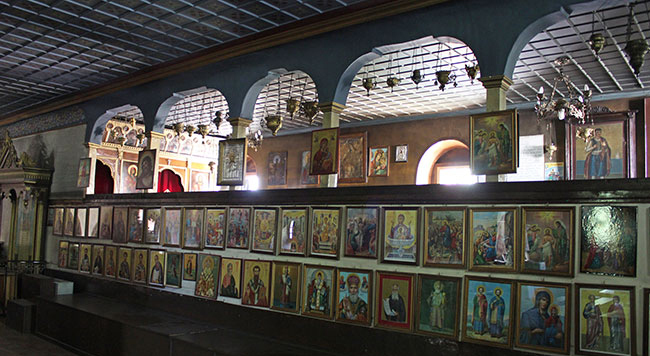 Among the most remarkable, old icons which are kept in the church is St.